I missed the chat because I was glued all day (and evening watching it over and over) to the Royal Wedding. I would have loved to be there, but I dislike crowds.... Maybe when I'm visiting my daughter next month, Owen and I can have a day trip to Westminster and take some photos of our own. 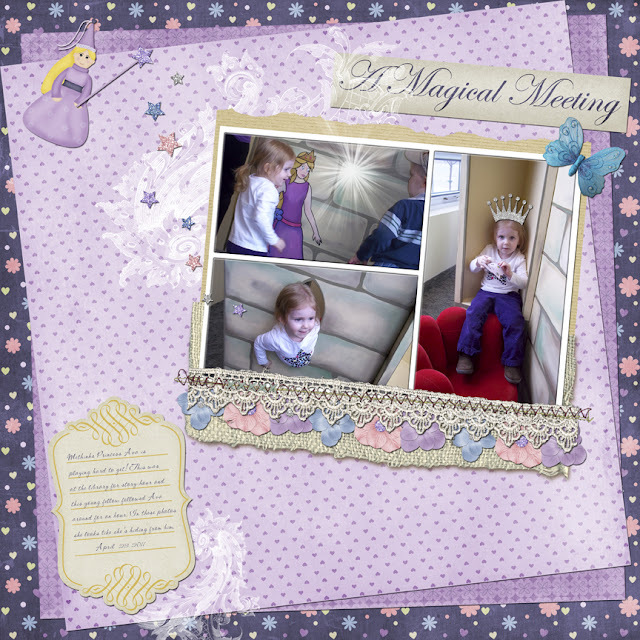 In the meantime, here's our own little princess (being the only girl of the four grandchildren, she gets all the girly pages).